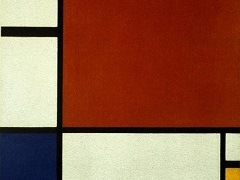 In this 1913 painting, which is encompassed by an oval line, with the area outside the oval painted in an ocher resembling gold, Mondrian came close to the ideal of a cubist composition that he had set himself upon his arrival in Paris early in 1912. 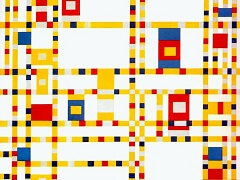 Not only do the colors - a mixture of ochers, yellow, and gray - come very near to the works of the analytical cubist period of Pablo Picasso and Braque, but the entire structure, built up of plans superposes, is closely connected to those works. 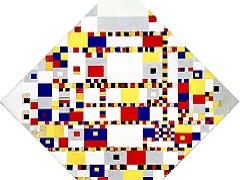 It should be noted that in the year in which Mondrian painted this first oval composition, Picasso and Braque had already left the analytical phase of their cubism behind them and were engaged, by means of the technical innovation of papiers colles (pasted-on papers), in founding a new, synthetic period of cubism, abandoning the segmentation of objects into facets with mainly linear boundaries. 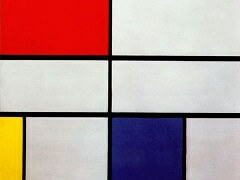 In this respect Mondrian's art lagged slightly behind the development of cubism. 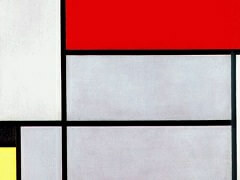 In view of the fact that during this period Mondrian always derived the rhythmical composition of his pictures from some visual impression or experience, and the further fact that he gave the viewer a clue to the subject matter of this painting by adding Trees in parenthesis to the title, the question of the source of the composition is quite justified. 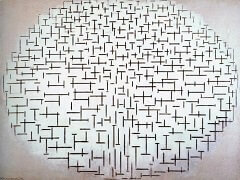 Moreover, a drawing now in the Hague Gemeentemuseum seems to be related to the same motif; it must have been executed in 1911 or 1912. Some of its lines, especially the branching line in the central axis, follow courses similar to those on the sketch-book sheet, and also foreshadow the splendid charcoal drawing that is the immediate source of Oval Composition (Trees). Some of the shadows that are clearly visible in the charcoal drawing and have been taken over in part into the painting seem to go back to this earlier drawing. 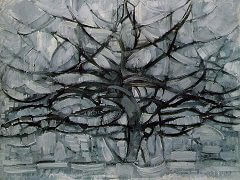 At any rate, the result that Mondrian achieves in this 1913 painting is far indeed from the first suggestion provided by an experience of nature. 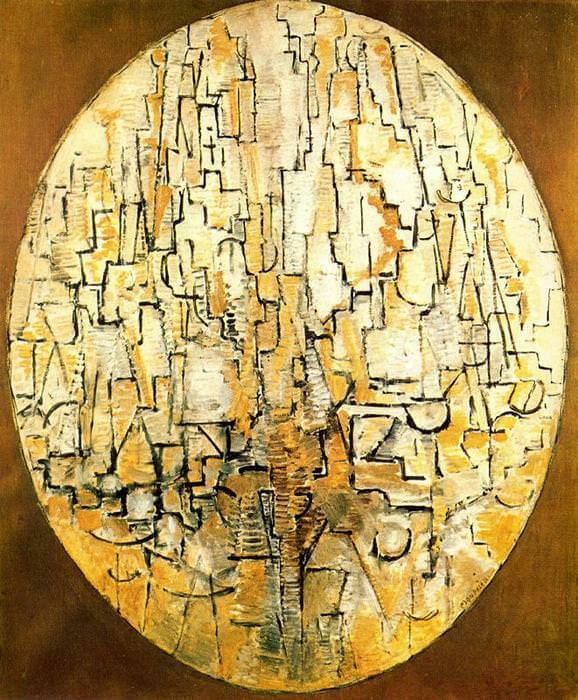 In this picture he embarks on a way that led him, in the wake of Picasso and Braque, to the outermost limits of analytical cubism, limits that Picasso and Braque themselves did not go beyond. 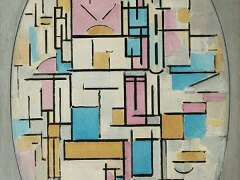 During the next few years it was Mondrian who went beyond, removing cubist composition ever further from reality.